What the Union of ONA and People Analytics Means | Visier Inc. Organizational Network Analysis (ONA) isn’t a new science. It’s been around for over 30 years; the practice “measures and graphs patterns of collaboration by examining the strength, frequency, and nature of interactions between people in those networks.” By that definition alone, ONA seems better left to only the most expert of data scientists, but advances in technology have made it easier and more accessible. 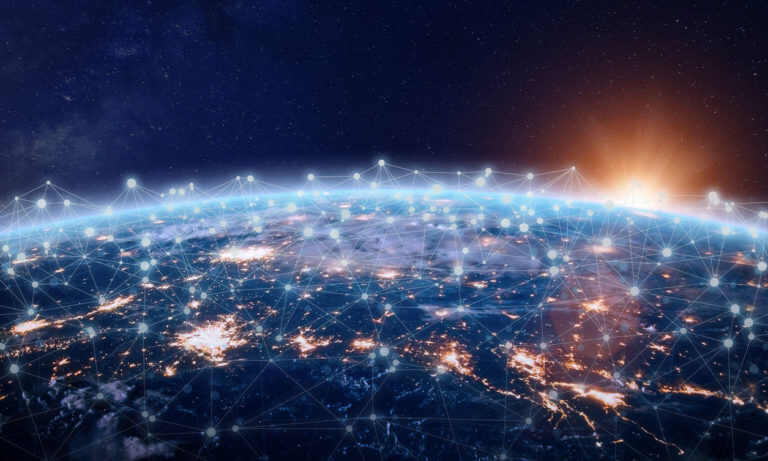 Nowadays, there are companies, such as TrustSphere, that process the massive amount of data produced as a byproduct of our daily interactions with our colleagues. TrustSphere is an incredible tool to uncover your organization’s influencers and unearth the critical relationships that facilitate success. They take these data points and transforms them into meaningful visualizations of the networks that form between people, as well as scores summarizing an individual’s influence on that network. 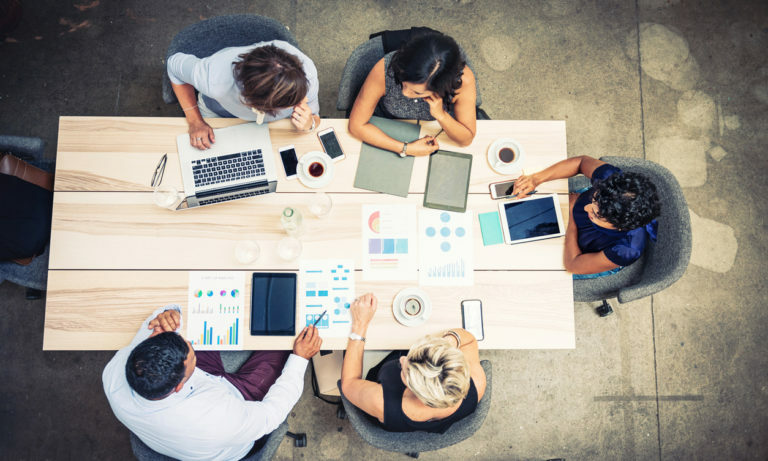 When ONA metrics can be viewed alongside and within the context of broader people analytics, they add a whole new dimension to your workforce insight. Have you ever observed that employees tend to resign in batches? One person hands in their resignation and it appears to trigger a domino effect. ONA can show whether that first person was the lynchpin holding a network together and their absence caused it to collapse. This analysis can also reveal surprising insights, such as that the first employee who left wasn’t the highest performing employee, yet they were the ones your star talent coalesced around. Now that this individual is gone, you may find your top employees are at risk of leaving as well. Adding ONA insight to people analytics can also reveal the risks and opportunities associated with your diversity and inclusion efforts. 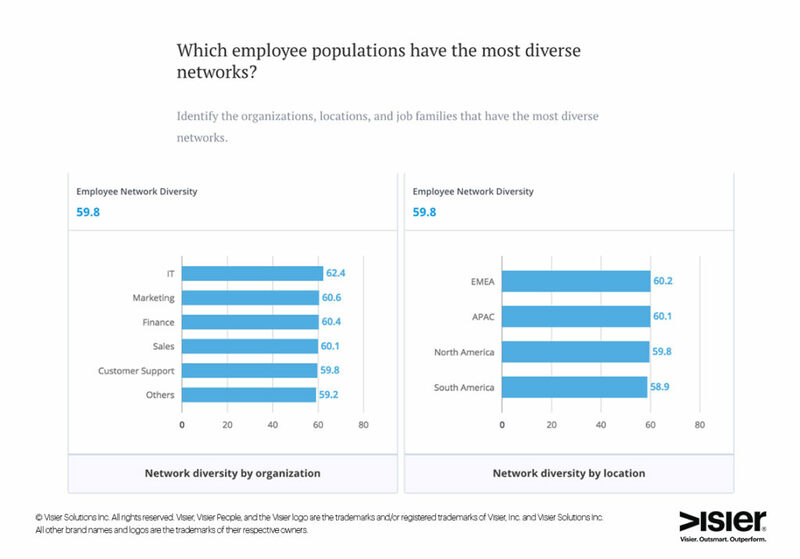 ONA can show your D&I leaders if employees are building networks that foster inclusion and enable diverse employees to reach their full potential. Manish Goel, CEO of TrustSphere, shared with me the story of a trillion-dollar asset management firm that used ONA to understand why there were fewer women receiving promotions, despite the company hiring an equal number of entry-level male and female employees. Network insights helped the company identify gender differences in developing working relationships in correlation with promotion data. 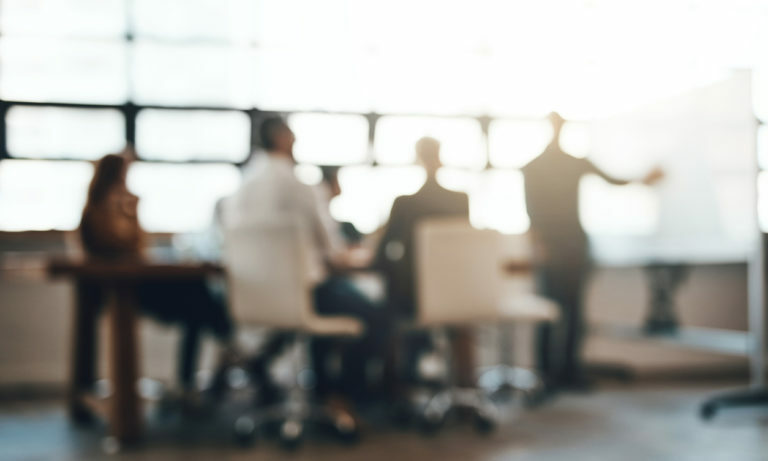 This understanding provided significant input into training programs designed to help female employees build the right internal networks for equal promotion opportunities. Where will ONA take you? The power of ONA data is unmistakable and when combined with the full range of your employee data and people analytics, the results can be business-changing. This is one of the reasons Visier works seamlessly with a solution like TrustSphere or another network analysis tool. 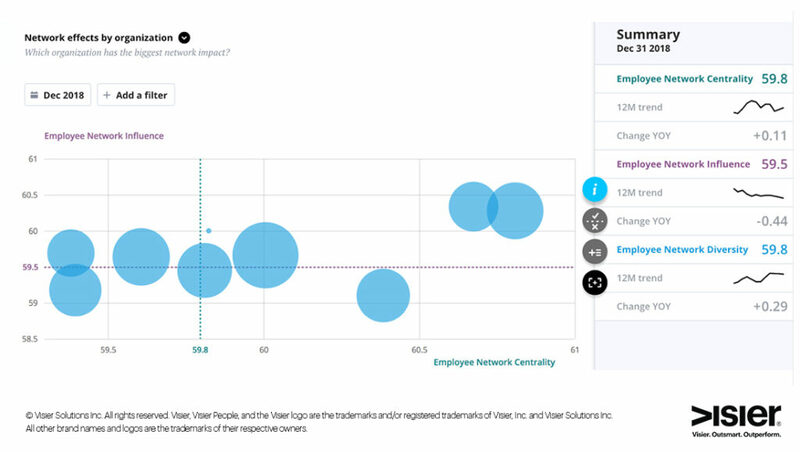 With Visier, you can make better decisions based on the relationship between employee network connections and resignation rates, if network-critical employees are being adequately compensated, how the diversity of a network impacts your organizational D&I goals, and so much more.